Are you ready to upgrade your spades games? From here on out, playing is going to get a little bit better because with this new deck Black Excellence playing cards, you’re always going to be winning! 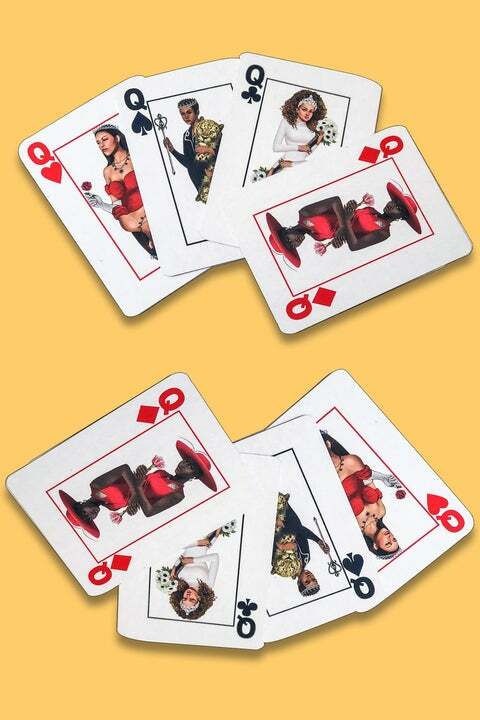 The “My Cards” Black Excellence Edition deck celebrates Black women and men by showcasing them as queens and kings on the face cards of a classic deck. Showcasing our beauty and diversity–even highlighting our distinct and beautiful hair texture–this beautiful 54 card deck is the perfect gift to give for the Christmas season. Whether you’re hosting a game night with your crew or breaking out into a Gin Rummy game with your family, this deck is sure to up the fun factor in the moment. And the best news about the Black Excellence Edition cards? They won’t break the bank! The deck is now available for pre-order for $7.99 at mycarddecks.com.